Welcome to Disney Extinct Attractions. My name is Cole, and today I’ll be your guide on our trip underneath the ocean to the far away land of Atlantis. 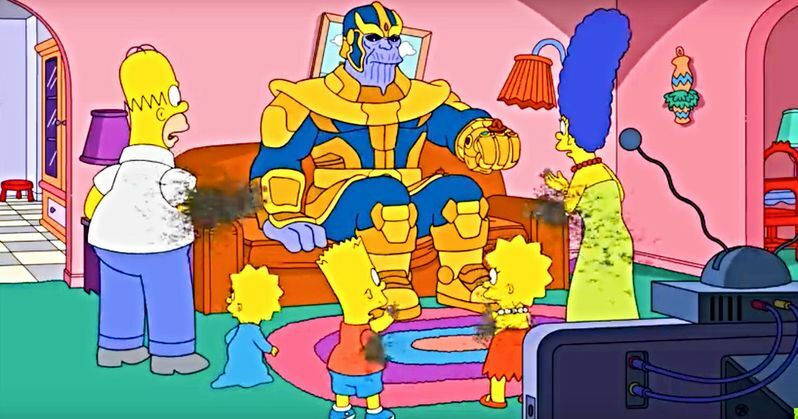 This past week, Thanos appeared on The Simpsons as a part of their weekly couch gag and proceeded to dissolve the entire Simpsons family except for little Maggie, who managed to avoid the purge. 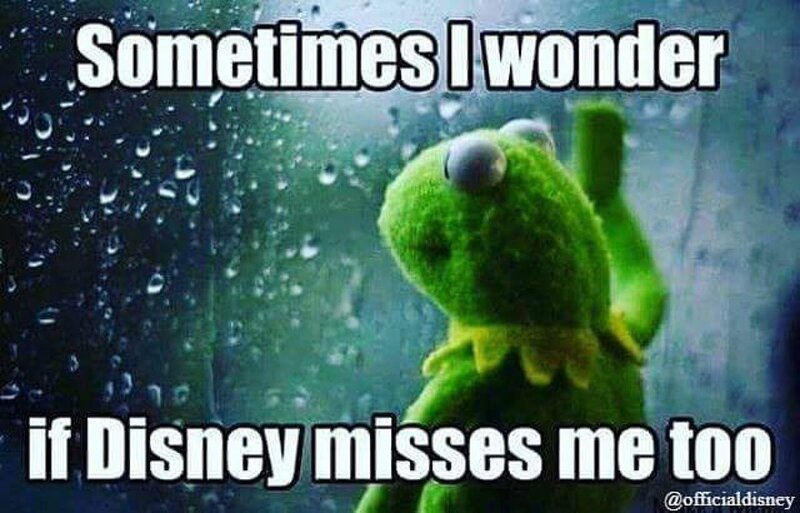 The interesting aspect of this gag is that it shows that Disney is already promoting their corporate synergy in the Fox-owned show that they will own sometime in the very near future. 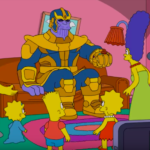 I’m hopeful that Disney will keep these jokes alive when they officially own the show because it’s always nice to see the company willing to make fun of itself. But today, we’ll be taking a look at an attraction that nearly existed in Disneyland, but never quite made it. Our journey today has to begin with the Submarine Voyage that graced Disneyland for nearly 40 years. Eventually, the attraction began to grow a bit stale and costly, so Imagineers began to throw around ideas for ways that they could plus the attraction and make it more of a draw for guests. At the same time that the Submarine Voyage was closed and being seriously looked at, Disney was deep in development on Atlantis: The Lost Empire, part of Disney Animation’s goal to create animated action-adventure films in the early 2000s. With a budget of $120 million, Disney was putting a lot of eggs into the film’s basket and really expected it to come out and be successful. Just looking at this picture, you can see how well Atlantis translated to the submarine experience because the whole movie is based under the sea and even has a submarine design already prepared. 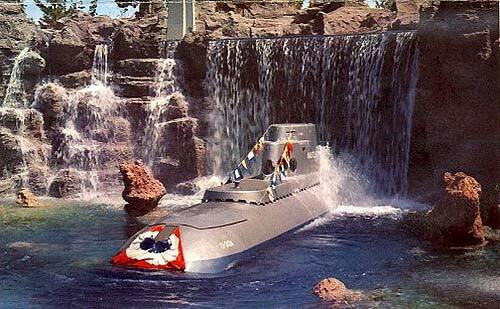 What made it even more fitting was that the original Submarine Voyage actually featured a quest to Atlantis, so this attraction would be a very fitting successor and pay homage to one of the original E-Ticket attractions. As you can see from the photo above, the Atlantis Expedition would have greatly expanded on the Submarine Voyage, while still retaining a lot of the same look that was there before. The most notable addition was the giant volcano that the Monorail would have traveled through. This volcano would have been particularly important because, from one of the rumors that I heard, the submarines were going to basically serve as vessels to take people to Atlantis. Once they reached the city, guests would disembark and have the opportunity to explore Atlantis itself. 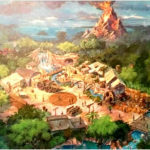 This addition sounds amazing because it would have been so different from anything that we’ve seen in a Disney Park before where it’s basically two attractions in one. However, it also sounds like it would have been extremely costly, so for it to happen, Disney was relying on the success of Atlantis. 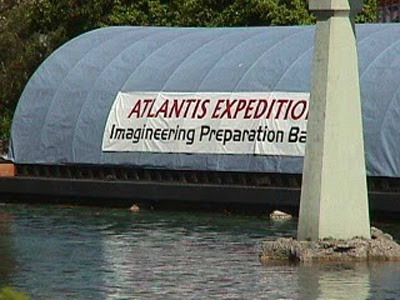 Immediately after, the subs closed, this tarp showed up for a few days, so it seemed like Disney was ready to commit to the project. 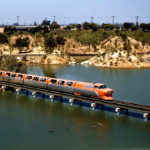 However, three years had passed and no work had been done to the submarine area, most likely due to the cost of building California Adventure right across the way. Then, Atlantis debuted in 2001, and it was nowhere near the success that Disney was hoping for, so the entire project was scrapped and the submarines were left to keep sitting there in what looked like murkier and murkier water. 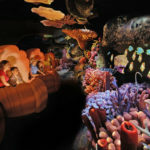 Eventually, the submarines did reopen, but not until 2007 when the Finding Nemo Submarine Voyage opened. Having ridden the submarines very recently, I really wish that we had gotten the Atlantis Expedition because even its concept sounded so much better than what we ultimately got with the Finding Nemo Submarine Voyage. Well, that closes things out for today, but here’s a peek at what’s coming next week. Both these attractions still exist in other parks around the world. One of these attractions had two different paths that guests could follow. One of these attractions is regarded as one of the scariest Disney attractions ever.